The company's new Chief Technology Officer has an extensive background in both healthcare and computer systems. Strickland's ten years of hospital IT experience includes roles such as work station specialist and system engineer.
. . . I think a lot of people are just now catching on to what [telemedicine] is and what it does, and that's exciting. 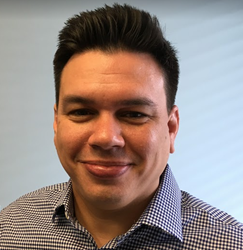 Matt Strickland has joined the Global Partnership for Telehealth team as the telehealth networking agency’s new Chief Technology Officer. Strickland is assuming the role following the departure of Jerad Johnson, former CTO of Global Partnership for Telehealth, from the company. Although Strickland may be the newest addition to the Global Partnership for Telehealth team, he is no stranger to healthcare IT. His resume is bolstered by more than ten years’ experience in both the information technology and hospital sectors. Before joining Global Partnership for Telehealth, Strickland worked as a senior technical analyst at Memorial Satilla Health in Waycross under the Hospital Corporation of America. Additionally, he has held several IT-centered positions at various hospitals like the Mayo Clinic and also worked for the Ware County government as the network administrator for five years. Strickland said that the expansion of Pathways, GPT’s flagship telehealth platform that went live last year, was one of the projects he was most looking forward to managing. Global/Georgia Partnership for Telehealth (GPT) is a nonprofit corporation whose mission is to deliver worldwide access to healthcare by leveraging technology. With a 12-year track record of success developing and implementing sustainable, cost-effective telehealth programs, we are the leading agency globally focused on increasing access to healthcare through innovative use of technology. Currently, GPT manages a network of more than 650 endpoints, including partner providers, health systems, schools, universities, long-term care facilities, correctional facilities, and international mission projects. For more information, visit our website at http://www.gpth.org.